The Railway Station precinct is possibly the only one in the state with Railway Barracks, Water Tower, Goods Shed and Stationmaster’s House still in situ, demonstrating a distinct railway identity. 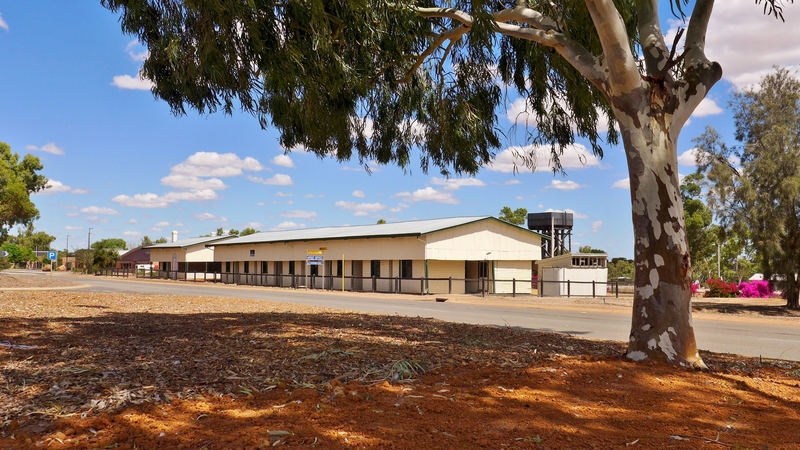 The site is significant in representing a different way of life, a different culture and nationally demonstrating a diversity of Wongan Hills’ development. 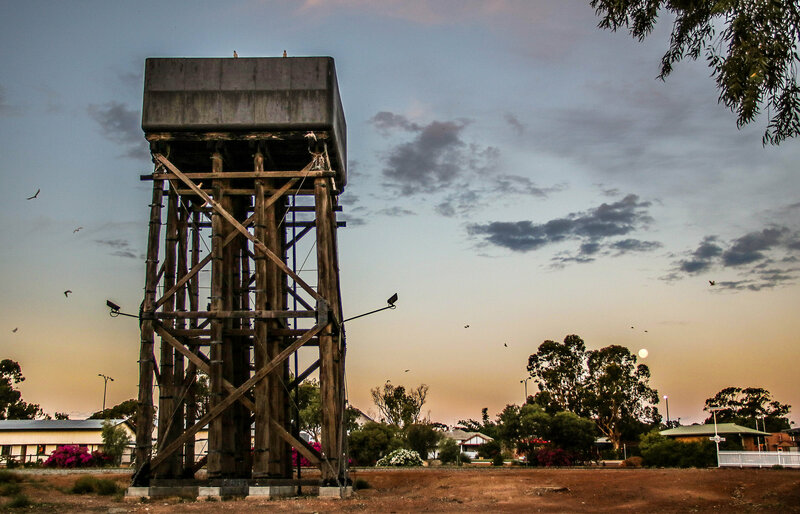 The Water Tower was built between 1913-1914 & served the steam trains until the diesel era arrived in 1955. The stand is 12ms (40ft) high and made of karri and jarrah and the tank on top holds 100,000 Ltr (32,000 Gal). The tower was restored in 2010 in time for the Town Centenary in 2011. The one-storey, timber framed and clad railway barracks have been permanently added to the Heritage Register. 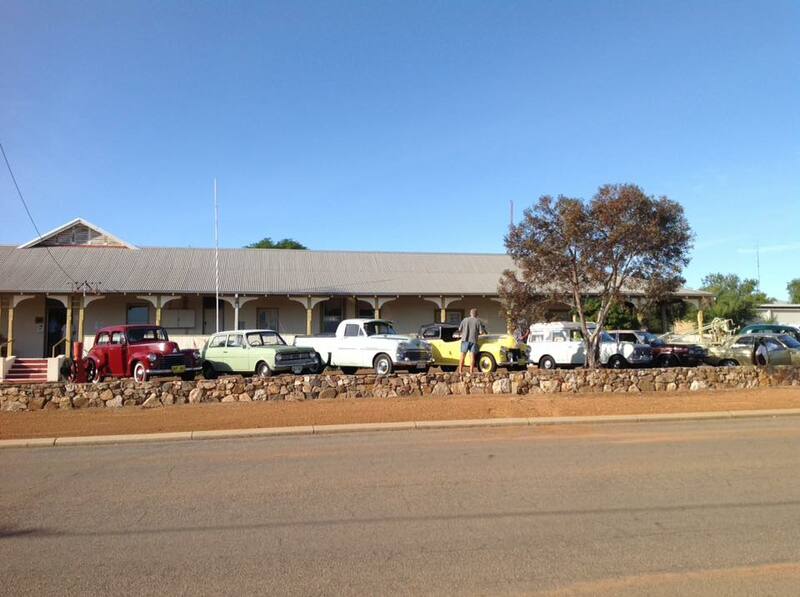 Built from 1914-1921, they housed train crews and workers maintaining the Northam – Mullewa Railway Line, which was vital in opening the north-eastern wheatbelt. 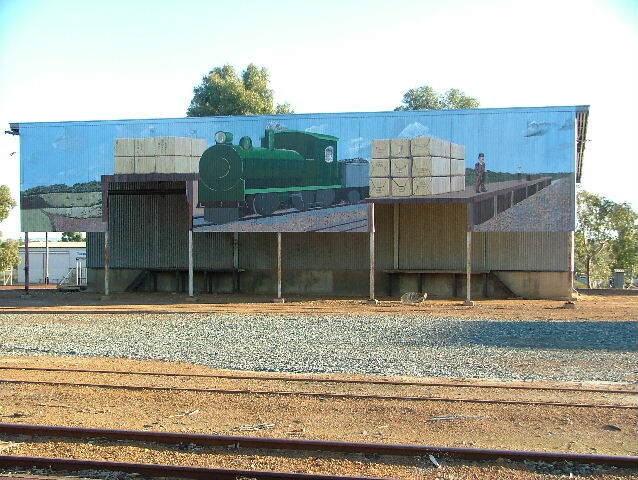 Together with the station buildings, water tank and stand, station master’s house and goods shed, the barracks form part of the Wongan Hills railway reserve precinct. 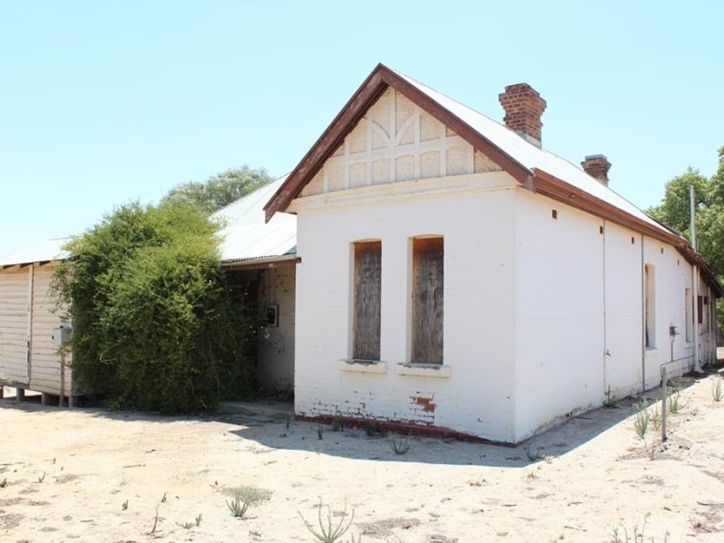 The old home was built in circa 1915, and is Heritage registered, it was the residence of the Wongan Hills Station Master from 1915 to the 1980’s. The Wongan Hills Cemetery is situated approx. 2kms from the centre of town on Ningham Road. There are many beautiful wildflowers in evidence at the Cemetery. The first recorded burial in the Wongan Hills Cemetery was in 1914. The Cemetery is in two sections, divided by a centre roadway. The left hand side is the earliest section in which many members of Pioneer families are buried, and which was used until 1956. The right hand side was commenced in approx. 1943 and is currently still in use. Unfortunately, there are many graves in the Pioneer Section of the Cemetery that are unmarked, because we are unsure of grave locations. There are no early records of the Cemetery, but it is presumed that this area was selected for the Cemetery as it is on a sandplain, and is therefore easy to dig. The museum is open every Sunday from 1 to 4 pm. The volunteers will also open the museum on request. The Wongan Hills trail starts & ends at the Visitors Centre, it is approximately 2.5kms & takes around 45-60 minutes. There are twenty-two interpretive panels on the trail, each refers to sites of historical significance. Call into the Visitors Centre to pick up a brochure.